Thanks to a spectacular 9 million pounds fund-raising effort (the most successful in its history) the British Library has successfully acquired BL Additional MS 89000, better known as the St. Cuthbert Gospel. Previously part of the library of Durham Cathedral, he Gospel is a copy of the Gospel of St John, and the earliest complete European book. 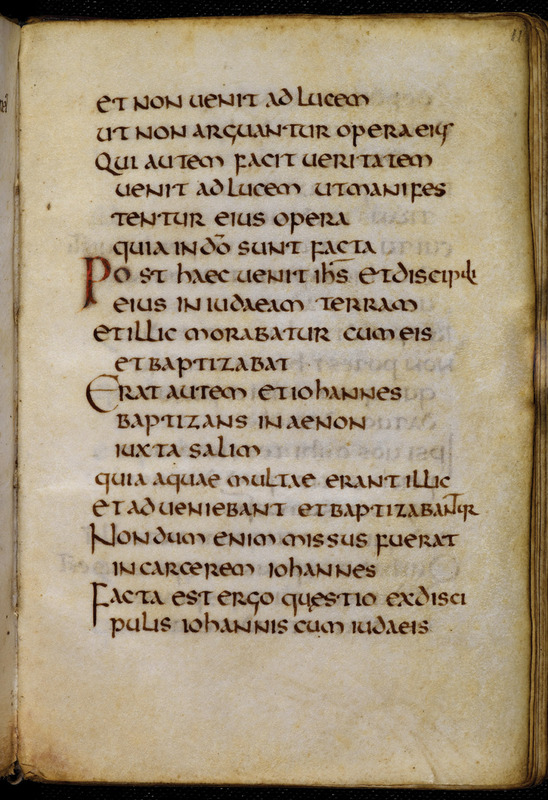 St. Cuthbert’s Gospel created in the late 7th century in the north-east of England and placed in St Cuthbert’s coffin, c. 698. When the coffin was opened in Durham Cathedral in 1104 in order to remove Cuthbert’s body and install it to in new shrine, the manuscript was removed and kept in the cathedral library. The beautiful maroon leather binding featuring twining branches and fruit is the original late seventh-century binding over boards, with flax thread. 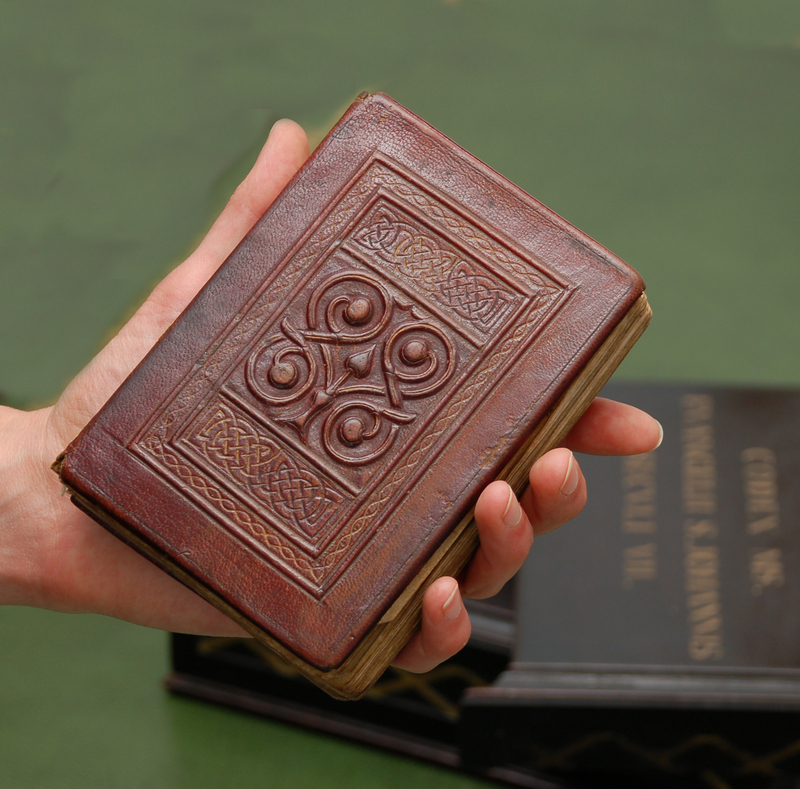 You can read more about the St. Cuthbert’s Gospel on the British Library’s blog. The entire manuscript has been completely digitized and is available on the British Library’s Digitised Manuscripts site. The BBC has video. Tagged British Library, St. Cuthbert.